NEED INSPIRATION THIS MONTH FOR A POP-BY? CHECK OUT WHAT WE'VE PUT TOGETHER FOR YOUR MONTHLY POP-BY PLAN FOR THE WHOLE YEAR. What It Is: Lantern homes from Joanna Gaines, sold in Target. Quote: Let me light up your New Year with a new home! If you know anyone who needs a little light on their path to their dream home, I'd love your referral! What It Is: Adorable mini mailboxes that can be grabbed in Target's $1 buckets in February. Fill them with candy & treats. Quote: Roses are red, violets are blue. Being your agent is sweet, let's make your move sweet, too! What It Is: Mini pot-o'-gold pots that can be grabbed at Target in March, filled with "gold," candy. Quote: No luck needed when you're ready to make a move. Just give me a call! What It Is: Plant-able seed house packets that can be purchased here. Quote: April showers may bring May flowers, but April showings bring May closings! Know anyone wanting to do some Spring cleaning and make a move? What It Is: And adorable Dum Dum bouquet in a small vase held together by a Styrofoam ball. 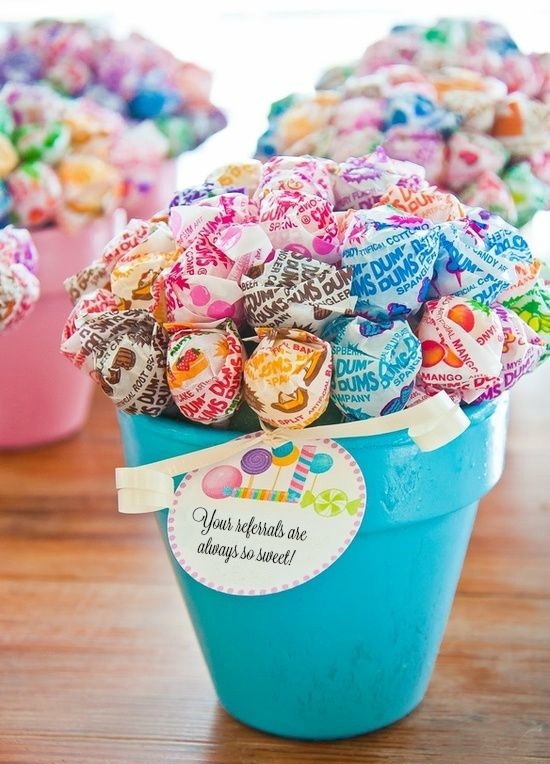 Quote: May your spring days be as sweet as your referrals are to me! What It Is: Fireball candy wrapped up in little baggy. Quote: Summer is here! The weather is hot and the market is on fire! Know anyone wanting to make a move? What It Is: Sparklers or glow-sticks are perfect for the 4th of July season. Quote: Brighten up your year with a new home! What It Is: A back-to-school emergency/goody kit. Quote: Saving you on the first day of school, and there for you when you're ready to move! What It Is: Adorable s'mores kit in a mason jar to kick off the fall weather. Quote: Fall is near! If you need s'more help selling your home, don't forget to give me a call! 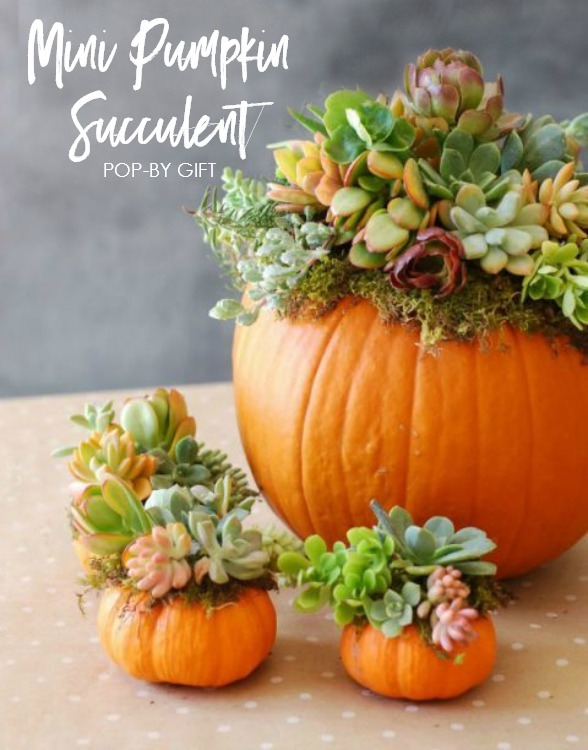 What It Is: Miniature pumpkins filled with moss and succulents. Quote: Treat yourself this Halloween with a non-tricky sale when you list with me! What It Is: $1 Pumpkin (or Pecan) pies from Walmart or Kroger. 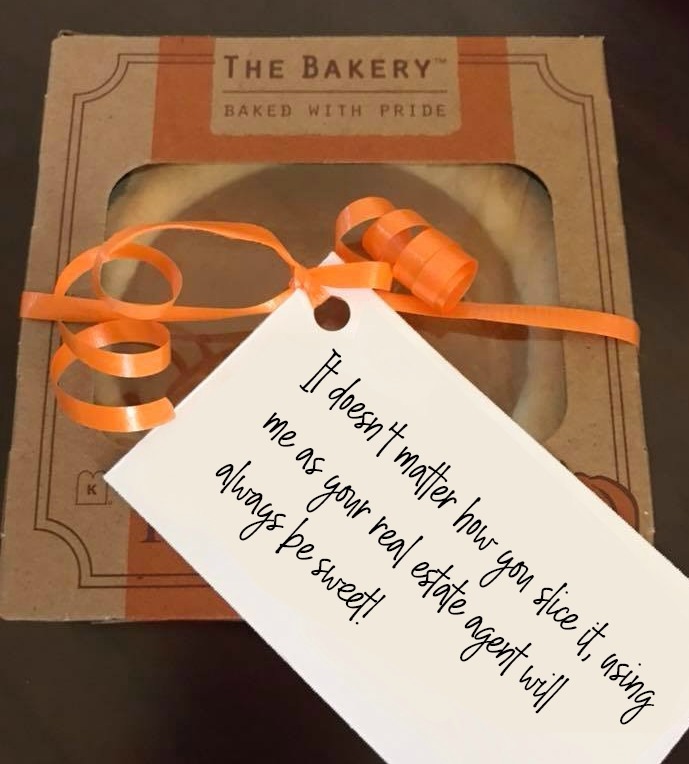 Quote: It doesn't matter how you slice it, using me as your real estate agent will always be sweet! What It Is: Christmas theme Kisses in a "coal" bag. Quote: Santa's little helper; helping you find the dream house on your Christmas wish list!